Welcome to Lucky Mansion, a sprawling country estate seven miles north of nowhere. 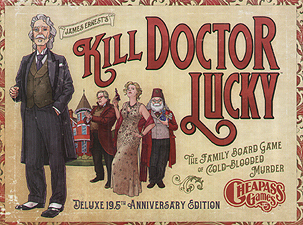 You've hated Doctor Lucky for as long as you can remember, and this is your perfect chance to take the old man out. Take heart. Persevere. Someone is going to kill Doctor Lucky tonight, and it might as well be you.